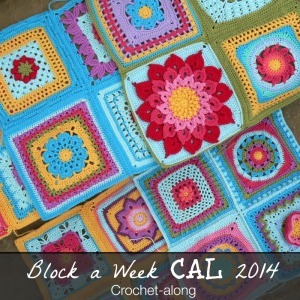 Quite a few people have requested the total yardage (per colour) to complete the Block a Week CAL 2014. When I first started out I had no idea that people would want to copy some (or all) of the colours I used, so I didn’t really keep a tally. Lucky for me Betty Byers made her squares in the same colours as me (well, 95 % of them), and she did keep a tally. The photos in this post are Betty’s photos and they are being used with her permission. 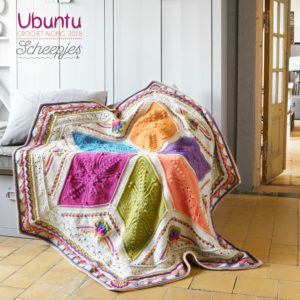 Even though we have used the same colours, our blankets have turned out very different. Betty has included Sophie’s Garden in hers. She has had to leave out 4 squares to accommodate Sophie. 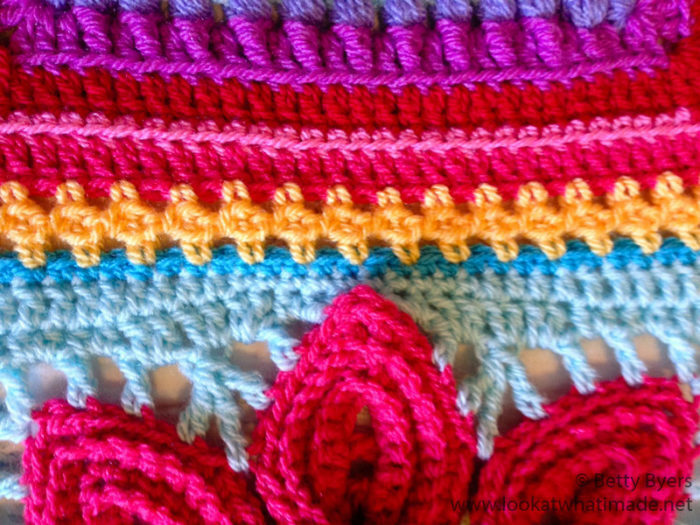 Betty has joined her blanket using a Flat Braid Ch-3 Join in Saffron. You can find a very clear tutorial for the Flat Braid join HERE. 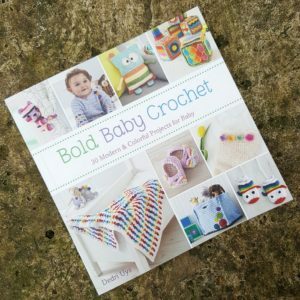 The tutorial is by Margaret MacInnis, designer of See How They Run (Week 23), Anticipation Mystery Square (Week 29), and Purifying Puritans (Week 45). So without further ado I will share the amounts of yarn Betty recorded using. Yarn: Stylecraft Special DK from the Lucy Pack or Colour Pack (Double Knit/Light Worsted Weight/#3). 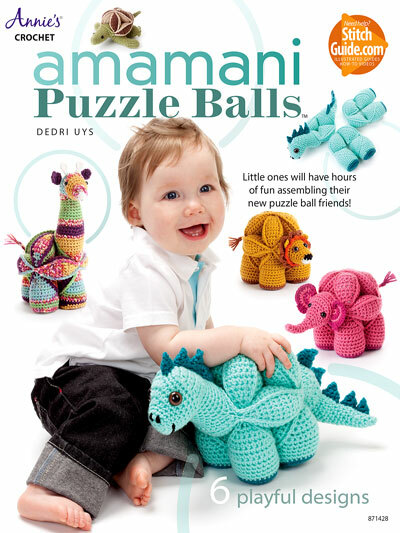 Specifics: Each ball/skein weighs 100 g and contains 297 meters of yarn. That works out to 3 meters of yarn per gram. Amount: 17 x 100 g balls/skeins for the squares and 5 x 100 g balls/skeins for the joining and border. 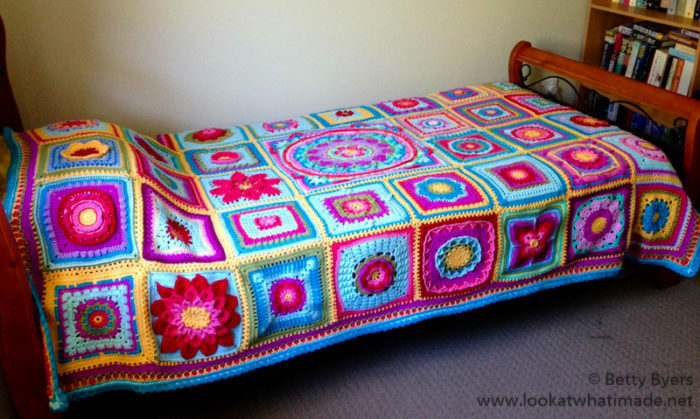 Notes: This afghan can be done using the “Lucy Pack” if all colours are used equally and you purchase additional yarn for the joins and border. We have not used all colours equally. 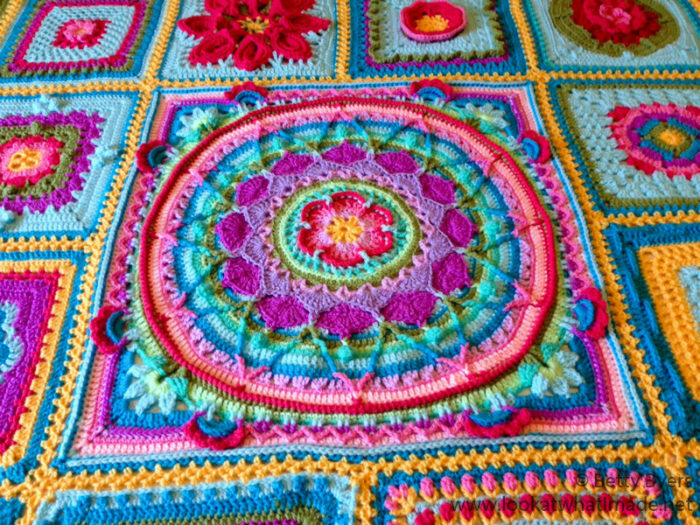 If I had to restart my afghan I would have chosen to use only 8 colours: Saffron, Sherbet, Fondant, Pomegranate, Turquoise, Meadow, Magenta, and Lipstick. You will notice that the earlier squares used all the colours, whereas the later squares used predominantly these 8 colours. * Wisteria and Lavender are quite close to each other, so you might consider using only one of them instead of both. ** Aster and Aspen aren’t as close to each other in shade, but you can consider using only one of them instead of both. You could also cut both of them out and use Turquoise instead. *** Sherbet and Cloud are similar, so if you are looking for another way to trim the amount of colours, use Sherbet instead of Cloud. 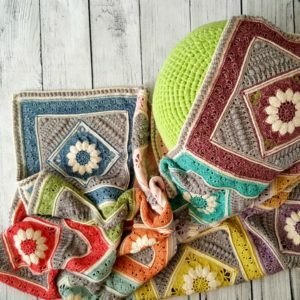 If you need help converting these weights to meters (or yards), FreshStitches has got an awesome tutorial HERE. My blanket is still a work in progress. All my Foursquares have now been joined using the (Sc, ch 1, skip 1) Join. Now I just need to figure out if I want to use Betty’s Beautiful Border, or if I want something more simple. Here’s a peek of what it looks like so far. Dear Dedri how would I calculate block design repeats and amount of yarn for making blanket in DK cotton king size. Hi Rosalyn. There is absolutely no way I can tell you how to calculate how much yarn you would need. 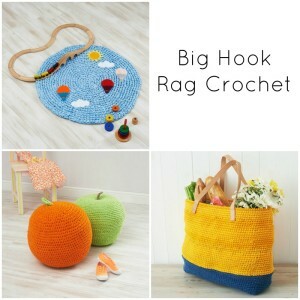 It would depend on tension, hook size, and yarn used. Each square also uses different amounts of yarn. But I do not think that dye lot will matter much with a pattern like this, so if you don’t have enough yarn, you can always buy more when you start running low. I am so sorry that I cannot help you with this. 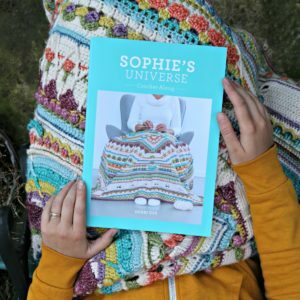 for betty’s blanket, if I use sophie’s garden in the center, would I use two strands of yarn for the sophie’s garden square? Hi. 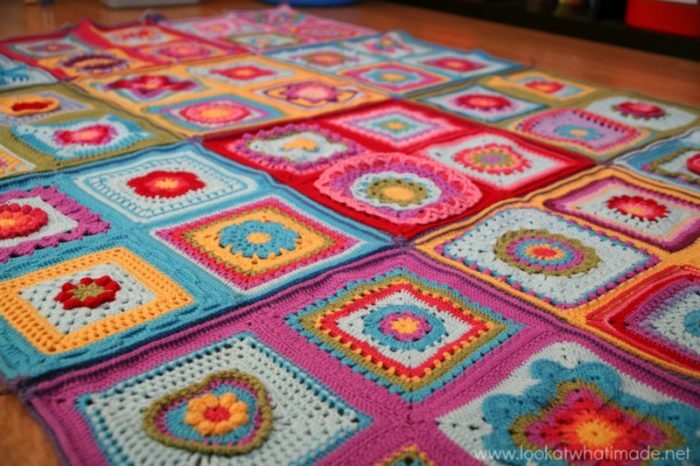 You would use whatever hook and yarn you are using for the rest of the blanket, so if you are using a single strand of double knit yarn for all your squares, that is what you would use for the garden to get it twice as big as the other squares. I only used double strand for the garden because I didn’t have worsted weight yarn at the time. 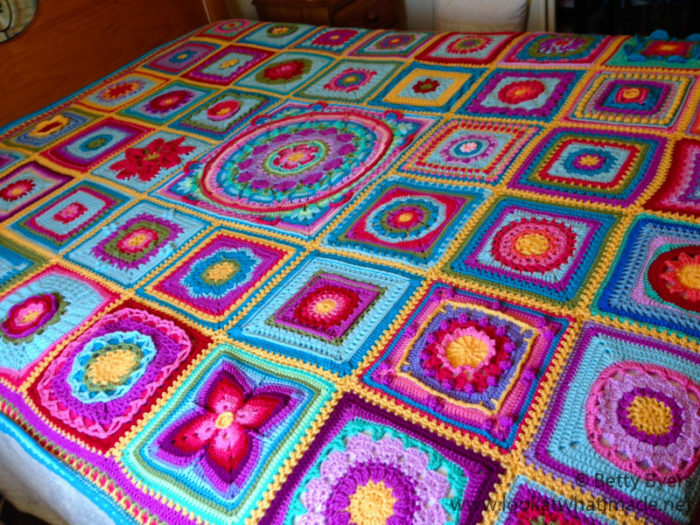 Wow, Betty’s blanket is amazing! 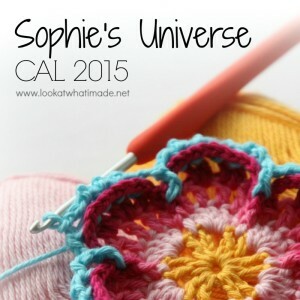 This is my CAL 2015, starting tomorrow (and a gift to my MIL). I have ordered all of the yarn Colours in Stylecraft special dk as per the yards tallied above. Very very appreciative of this :). 29 balls have now arrived, wow. I am going to be doing Sophie’s garden along with the border and flat braid that Betty has provided. Before I start though, are you able to help me with transferring the Stylecraft special dk colours (in the list above) to that which is used in the patterns (scheepjeswol…)? Hi. I love this blanket! Where do I find block one? You can find all the information (and links to tutorials) HERE. 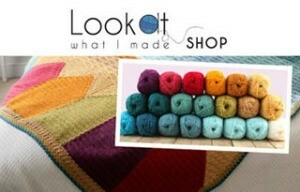 You will find a link to each pattern at the start of each tutorial under “Pattern”. The tutorials are only helpful guides, not the complete patterns (except for Grandma’s Heart and Prince Protea). Debra, the total meters per colour are listed in this post. 1 skein has 297 meters (per 100 g skein), if that helps. I can not believe how gorgeous that is. My Cal 2015, I am behind, but I will catch up. Thank you for this inspiration. Hi, thankyou so much for all your hardwork. Could not do it last year, but 1st priority in 2015! Hmmmmmmm, cal 2014 will be my cal 2015..! Thank you for leaving a comment. It was great to meet you too! Hopefully I will be able to finish the blanket soon. I’m hoping to come on the 31st when the tea room is next open. 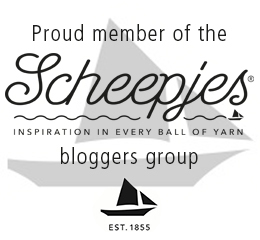 Trying to get two of my crochet buddies to tag along for a little bit of a meet-up. Take care and please ask if there is anything you need to know about the puzzle patterns. 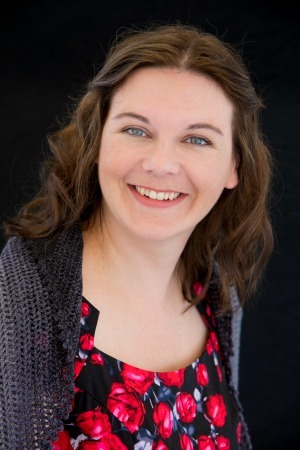 Thank you so very much Dedri for turning a few photos & notes into this beautiful blog entry. My contribution was small compared to the work you have put in to make my humble blanket into a “star”! There both so beautiful ! Very nice work . I would really like to have the pattern for the whole thing if someone could help me get this I would greatfully appreciate it . Hi!! I was just looking for the same thing as you,…….the “whole pattern”. Did you ever manage to get it?? I suppose I could go and search for each of the , what is it,…? ?…52 squares total?? I’m sure it would take some time. I just thot I’d take a chance and see if you had any luck with finding ALL of it. 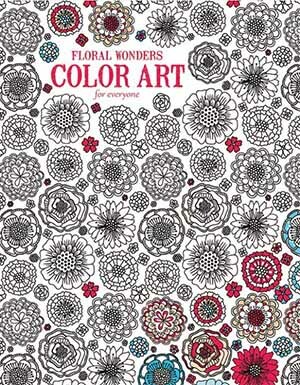 Unfortunately, there is no ‘whole pattern’ as the CAL was created by following patterns from multiple designers and posting a complete pattern pamphlet would have been in breach of copyright law. If you find it tiresome to work through all the patterns on a per-pattern basis, you might find something like the gorgeous Demelza blanket more to your taste :) Good luck and happy crocheting! Betty blanket turned out stunning! Looking forward to seeing yours done too! 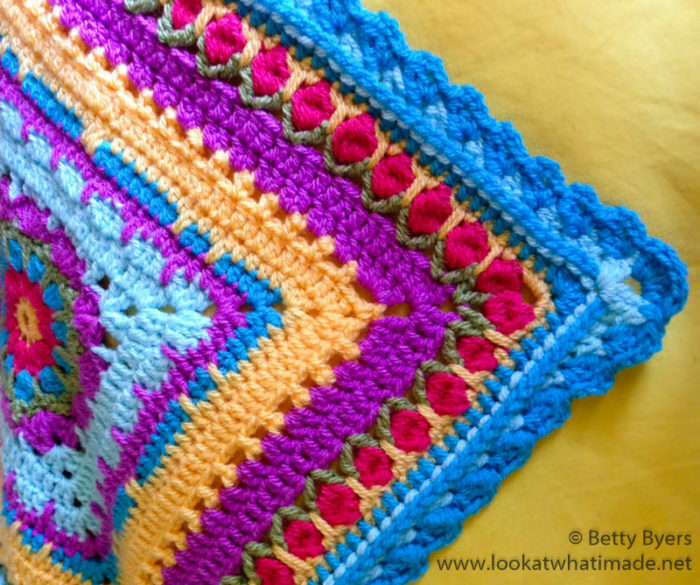 Betty’s Blanket is simply exquisite–your workmanship is definitely a labor of love. I can’t wait to finish mine–hope mine turns out as nice. (I’ve had so many interruptions and now Christmas gifts to finish.) Best wishes during this holiday season. I am sure everybody in the family want one. You’ve done a good job!!!! Wow, that is beautiful. Can’t wait to see your finished.